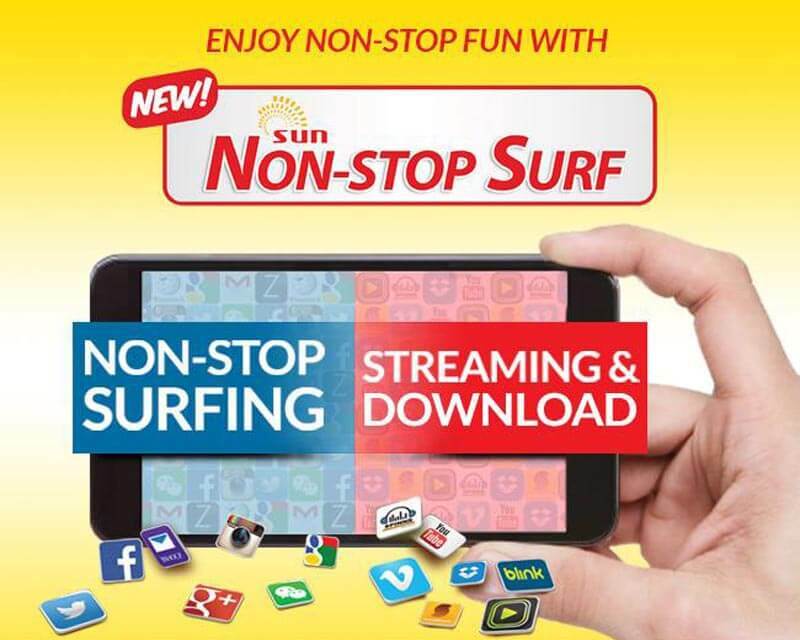 Sun Cellular offers Non-Stop Surf promo to their subscribers who love to access the internet in light and casual way. You can use it for web searching, social media browsing, email reading, chat, messaging and other light internet needed activities. It also includes limited open access data where you can use to stream videos on YouTube, download photos/files, mobile app/game data usage, video calls and more. Lastly, you can use Spinnr music app to access all your favorite playlist and listen to any songs they want up to the given data allocation. You can avail these loads through your load retailer and via SMS text conversion. Just from the list of available denominations you want to register, then text the keyword format provided for your reference. You can also try Sun iSURF, unlisurf with 800MB/day data allocation. Do note that this promo is only for light usage, once you reach 50MB/day, you internet speed slow down to 2G but the normal speed will refresh after 12 midnight. If you fully consumed your open data allocation, you will be charged with Sun Cellular browsing rate or you can subscribe to add-ons like MB5, MB50 and MB99 to get additional data.